by Davis, F. Keith, Hagee, John, Stanley, Charles F.
Davis, F. Keith, Hagee, John, Stanley, Charles F.
The much-anticipated biography of America's Favorite Family of Gospel Music, the Hoppers, is available. This is the account of the Hoppers, the longtime anchors of the Gaither Homecoming videos and television shows, and award winning Gospel artists. There are also many rare and personal photos of the family from their beginnings in 1957 to today. The Hoppers have established a Southern Gospel legacy over the last half-century. 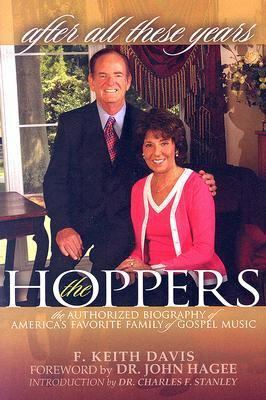 After All These Years, the Authorized Biography of the Hoppers is their story.Davis, F. Keith is the author of 'After All These Years The Authorized Biography of America's Favorite Family of Gospel Music, The Hoppers', published 2006 under ISBN 9780972486798 and ISBN 0972486798.